Experienced coroner Tommy Tilden and his grown-up son Austin run a family- owned morgue and crematorium in Virginia. 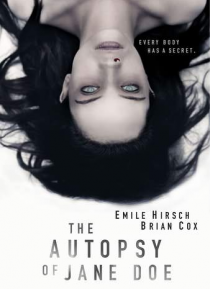 When the local Sheriff brings in an emergency case - an unknown female corpse nicknamed 'Jane Doe', found in the basement of a home where a multiple homicide took place - it seems like just another open-and-shut case. But as the autopsy proceeds, these seasoned professionals are lef… t reeling as each layer of their inspection brings frightening new revelations.